Moving and storage go hand-in-hand. Typically, anyone who is moving into storage will be moving as well. As a moving company, it can be very lucrative to have storage as a revenue stream for your business. In this week’s episode, I share with you how to handle storage in your moving company. At each of my locations throughout the US, we also had a warehouse where we offered storage. 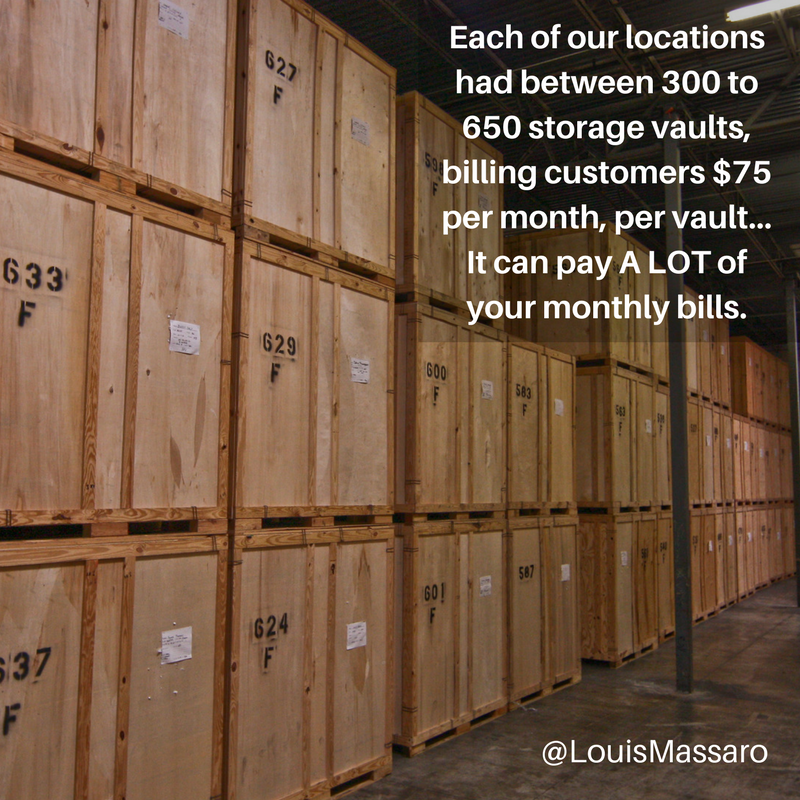 These different locations had between 300 and 650 vaults that we were billing $65 per month, per vault. When you are billing out numbers like that, you can pay a lot of your monthly bills just from your storage revenue. If you’re going to offer storage at your moving company, you need to set it up correctly, otherwise, you’re exposing yourself to a ton of liability. Offer one month free storage – I always offered one month of free storage to customers. The way I look at it, I was getting two moves out of it. The move in and the move out of storage. So even if they never paid for storage, you still got two moves. If you have the space, always offer one month free storage. And if you have a lot of space, offer two months free. You’ll get more customers and most will end up staying longer than two months anyway which will help you fill up your warehouse. Will the customer need access? – It’s good to find out if the customer will need to get in and out of storage at the time of booking the move. If you’re handling your storage the traditional way with vaults in your warehouse, it’s more of a long-term type of storage. If the customer will need to get in and out of their storage, you’re better off referring them to a self-storage and just booking the move. Detailed inventory – Every single storage job needs to have a detailed inventory completed at the time of the move. Meaning, you will place a sticker on every piece of furniture and box with a number and then list each piece on an inventory sheet and market the condition it’s in. You can order the stickers and forms at Milburn Printing or you can check out new software like Speedy Inventory that allows you complete the inventory digitally. Whichever way you go, just make sure you inventory every storage shipment. Check-in the entire shipment – Now that you’ve done a detailed inventory of the customer’s shipment, you need to make sure that someone is at the warehouse to check-in that shipment. That means that a warehouseman, a manager or yourself needs to be there to check off every piece of furniture as it comes off the truck. If not, you’re running the risk of your customer’s belongings never making it back to the warehouse. 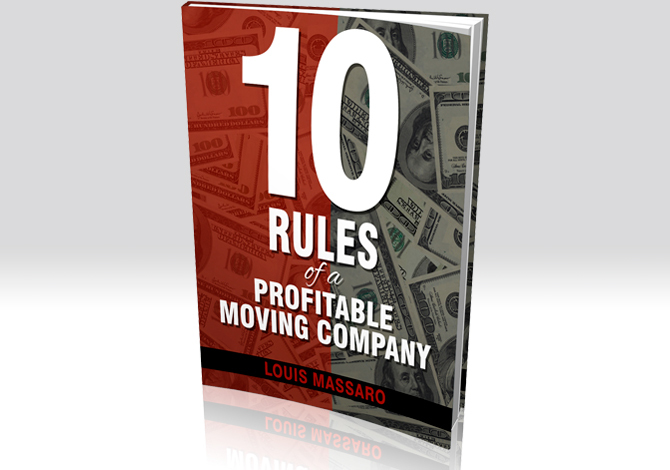 It would be too easy for a dishonest mover to make a “pit stop” and drop off a TV at home. Pad and shrink-wrap as needed – It’s great if you can sell additional packing and shrink-wrap to the customer. But if they don’t want to buy it, you still need to make sure you protect their belongings while they’re in storage. Set up automatic billing – There is no reason to have to track down customers every month to get paid. Set them up on auto-pay using their credit card or ACH from their bank. This is super convenient for you and your customers. When you set up your storage operation the right way, it can be a great flow of revenue coming into your business every month. But if it’s not set up correctly, you’re setting yourself up for one big headache. So, set it up the right way and reap the rewards. CORRECTION: In this video, I mentioned that we charged $75 per vault. We actually charged $65 per vault. I was working with a company earlier that day on their sales script for storage and they currently charge $75 per vault. When shooting the video I accidentally said $75 instead of $65 and didn’t realize it until after. My apologies for the confusion. Do you currently offer storage at your moving company or have you thought about offering storage at your moving company? Storage could be a very lucrative monthly recurring revenue that could really help pay a lot of the bills for your business. We did storage and we did it the, some would say the traditional way, where we had wooden vaults 5 x 7 x 7.5 containers that we would have at the warehouse, and we’d stack them three high. And what we would do is we’d send the truck out, we’d go pick up the storage, we’d bring it back, we load it in the vaults and we’d keep it there until the customer was ready to have it delivered out. Nowadays, there’s a lot of different ways that you can do the storage, you could even bring the vaults out to their home, let them load them up or load them up for them there then bring the vaults back. But I wanna talk to you about how I used to do it and share that process with you, because I know a lotta companies are thinking whether they should get into storage and then I know there’s a lotta companies that are doing storage currently that are looking at their process and thinking, “How can we streamline this, how can we make this a little bit better?” Because you also have a lot of liability. When you bring someone’s possessions into your building, not even just someone, when you bring hundreds of people’s possessions into your building you’re responsible for all that. So it’s definitely something that you wanna consider and it’s definitely something that you want to do very carefully. In my locations, I would say we had anywhere, small locations, 300 vaults all the way up to locations with 650 vaults, billing customers $75 a month per vault, it can pay a lotta your monthly bills. But if you’re going to do it you need to set it up correctly or you’re exposing yourself to a lot of liability. 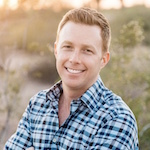 So I wanna give you five steps, the way we used to do it to help you and hopefully this will help get you started or maybe give you some ideas on how to streamline your storage business. So, the first thing you wanna do as a moving company, you definitely want to offer one month free storage all the time. I am a big, big believer in this and the reason is, when you’re moving somebody and they’re coming into your facility, you’re getting paid for that move in and you’re getting paid for that move out so that’s two moves. So if they come into your warehouse for a month and they don’t pay you anything for storage but you have the space, what did you lose? Nothing, but you gain two moves. So, the only time you wanna do this, obviously, is if you’re almost at capacity or just about at capacity and you can’t take on any more storage in your business or you’re gonna need to go rent additional space in order to do it. But if you have additional space, if you move into a warehouse for the first time, if you’re just getting into storage or let’s say you’re expanding your current facility, I’d even up it to two months free storage. What’s the difference? You have the space, you have to pay for the space, you may or may not get that move and you may be able to book that move by offering them that additional storage. And remember, it’s two moves every time, a move in and it’s a move-out. Always ask the customer, when you’re booking storage, if they’re gonna need access to the storage. We’re talking about doing it the traditional way where you have a warehouse, you’re putting them in wooden vaults 5 x 7 x 7.5, you’re gonna stack them either two or three high, sometimes even four. But if a customer is gonna need to get in and out of that storage… In and out of your facility, it’s probably not a good fit for them and you’re probably better off telling them to go to a self-storage unit which you’ll be more than happy to move them to, both in and both out. 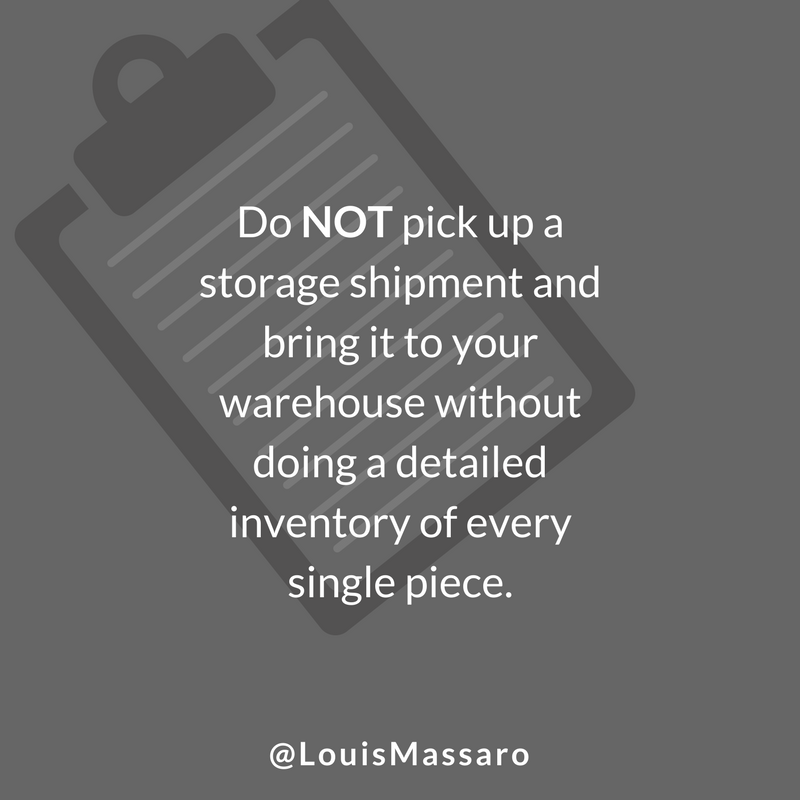 Every single storage job must have a detailed inventory. Meaning that you need to go out there with… If you’ve seen them the lot… The stickers, different colored stickers with lot numbers on them. Nowadays, there’s some electronic versions as well but old-school, you have the stickers, you label each piece with a sticker, each sticker has a certain lot number and a certain number of the piece, then you write down on the inventory what that piece is, and also the condition that it’s in. It’s very important that you mark the condition that it’s in before it comes into storage and that the customer acknowledges that. This is crucial, do not pick up storage, bring it to your facility without doing a detailed inventory of every single piece and you need to make sure that your driver or your head mover or whoever’s in charge knows how to do that, and they know how to look for the damages and put the code on there for the damages. Number four. This is so, so, so, so important and I know companies right now that are not doing this that have big storage facilities, good size companies, and, if that’s you, you need to start doing this, or you’re exposing yourself to way too much liability. Check in every single shipment completely. You need to have somebody at the warehouse. Not the crew that brought it in, okay? You need to have a warehouseman, a dispatcher, a manager, yourself, a different mover even. Someone that as they’re bringing in the shipment… Remember they did a detailed inventory? You’re gonna have someone that’s taking the inventory sheet, and as each piece comes off the truck, they’re gonna say what number it is. They’re gonna say number 42. Someone’s gonna go, they’re gonna check off 42. They’re gonna say number 322. They’re gonna check that off. Every piece that comes off the truck needs to get checked off to make sure that everything that left that house made it back to your office. 99% of movers are honest, hard-working people. There’s a very small percentage, but they’re out there, that if that’s not tight, and they know you’re not looking at what’s coming in, and what’s coming out, they will make a pit-stop at their house, and drop off that tv, when they know that that customer is not gonna even move out for another year or two, like, nobody will even know for a year or two. Or, they’ll drop off that box of shoes to their girlfriend. Whatever the case may be, I’ve seen it, and you don’t want that to happen. Every single piece needs to get checked off. So, as it’s getting checked off, if a sticker is not there, for example, there’s a piece of furniture or a box, and they say there’s no number. What you wanna do is have ’em put it to the side, and at the end, you wanna take a look at all the pieces and boxes that they didn’t have a number on ’em, and then match it up to whatever’s left. But, everything needs to get checked off. This is so important. Do not just have ’em come back, and unload, and be on their way. I know it’s much easier, I know it can be a pain to do this. When I first started my business, when it was just me, I had the warehouse. I was literally in the warehouse on my cell phone, booking moves while I was checking off numbers. And, if I had to have them stop what they were doing because I had to take a reservation, then they had to stop what they were doing. But, I made sure that everything was accounted for. This is huge. Number five. As things are coming in the storage, you need to make sure you protect them. Remember, you’re moving this furniture twice now. There’s a big risk of moving something once that something will get scratched, or something will get damaged. But, now you’re moving it once into the truck, you’re moving it again into a vault, you’re moving it back out of the vault, and to the customer’s house. So, pad and shrink wrap, as needed. I know that you’re gonna wanna sell this to the customer, and that’s great. If you could sell padding, and packing, and shrink wrap, great. But, if they don’t wanna buy it, when it comes back before you put it in the vault, make sure you do what you need to do to protect it, for your own liability, or you’re gonna have a problem, and you’re gonna have a claim, and you’re gonna have a bad review. So, I would get, some supply places will call ’em ‘warehouse pads’. It’s like a moving pad, it’s a little bit thinner. You could either change out the pads when you get back to the warehouse, or if you know it’s going on a storage job, you could basically pull your regular moving pads off the truck, load it with the warehouse pads, and send ’em out there. And this way, they could pad everything, and when it comes back, it can go right into the vault. Then, I wanna give you one little bonus tip, here. Set everybody up on automatic billing. Make this a requirement. We didn’t do this at first. When I first started storage, I literally was manually sending out bills to people, pen and paper. Years later, we finally set ’em up on automatic re-occurring billing, either on their credit card or even on a bank account. And we made this a requirement if they’re coming into storage. You’re still gonna have people that you’re gonna have to call because the payment didn’t go through and you’re gonna have to follow up with that. But, it’s much easier than trying to track down checks and trying to get payments. Set everybody up on automatic re-occurring billing. So listen, I hope this was helpful. I know there’s a lotta different ways you could do storage. I know you don’t even have to have a facility, you can put things in a self-storage unit. But, when you’re ready, and this I would say, people ask me sometimes, like, “When should I get an office? When should I get a warehouse?” You should get a warehouse when you’re ready to do storage. When you’re ready to collect monthly revenue that’s gonna help pay for the rent, pay for some of your insurance, maybe even your trucks. It could be a very lucrative business if it’s done right. But, the reason I’m stressing the liability so much, is because if it’s not, and you have a claim every single time something comes out of storage, or every single time something comes out of storage there’s something missing, it’s gonna be a nightmare. And you’re gonna wish you’d never started doing it. So, if you’re in that place now, you know what I’m talking about, because I experienced it, and I had to backtrack from that and make sure that we set up processes that did not allow that to happen. So again, if you’re not offering storage, think about offering storage. It’s a big money generator. And until I see you next time, go out there every single day, profit in your business, thrive in your life. I’ll see you next time.